Barry Jenkins was a new name to most BAFTA members. His film Moonlight was enough to leave them stunned, but in the QnA after, I focused on his vision, his intimacy with the story (and personal connections to it), his obsession with the music and his working methods. I think Barry won a lot of admirers and votes that day and BAFTA met a new star of cinema. 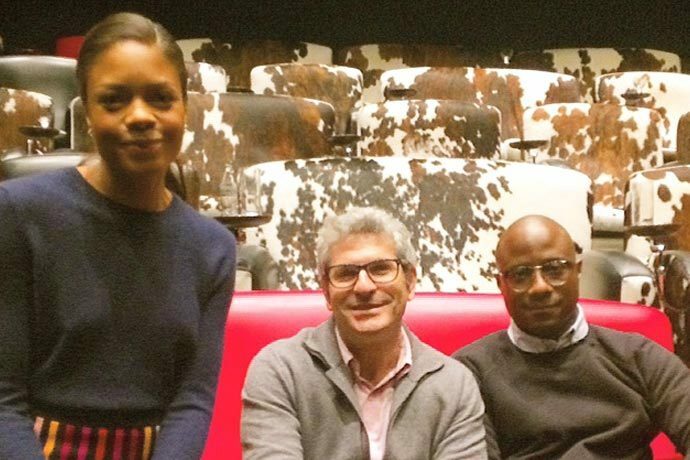 They also got insights from a favourite in Naomie Harris, who was able to show a new side to her talents and deliver strong political messages about diversity, showing her lethal combination of intelligence, talent and natural beauty. Moonlight is such a delicate film, it required gentle appreciation and admiration for its skill and its poetic power certainly grew during that QnA . I know several audience members who confessed to me they went away and voted for it on the strength of that session.